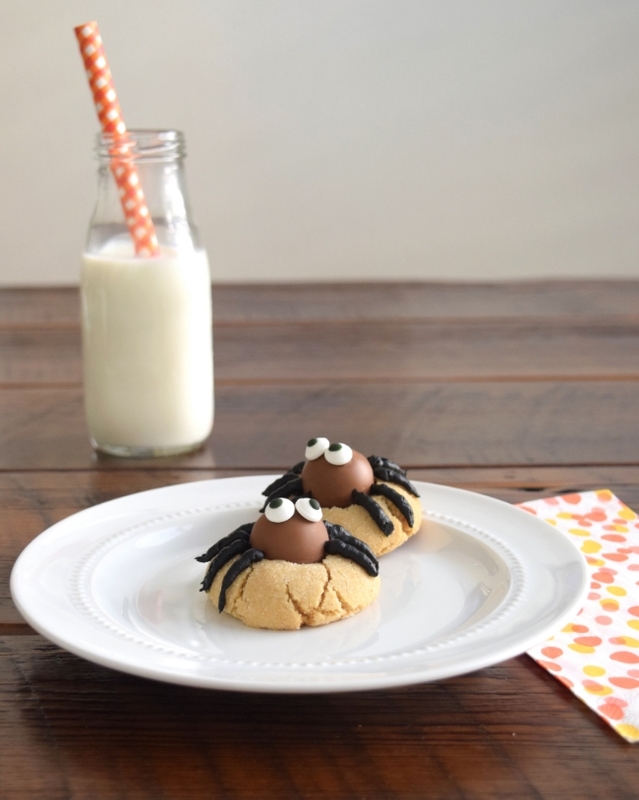 These spider cookies are not only one of my favorite cookie recipes, but also one of the cutest Halloween cookies! I made these last year around Halloween and plan to make them again this year. They were such a big hit with everyone! They are my same Peanut Butter Blossom Recipe that I shared here, just changing out the Hershey's Kiss for a Lindt Lindor Milk Chocolate Truffle. And then adding some candy eyes and icing legs, making them not only one of the yummiest cookies, but also one of the most adorable cookies ever! Cream together butter, both sugars and peanut butter. Add vanilla and one egg. Add flour, baking soda and salt. Mix all ingredients together until dough forms. 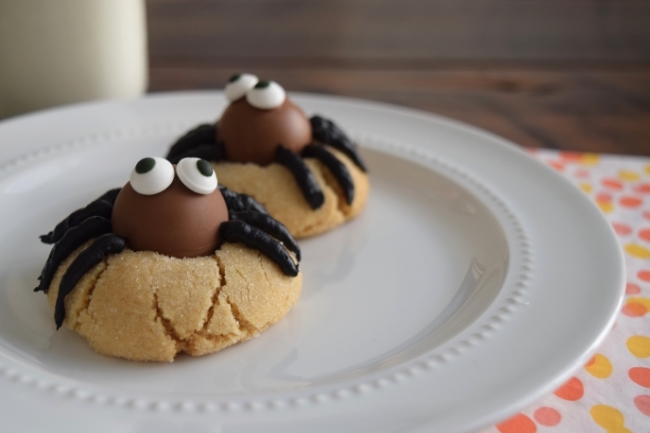 A delicious cookie all disguised for Halloween. They are sure to be a hit at your Halloween festivities! 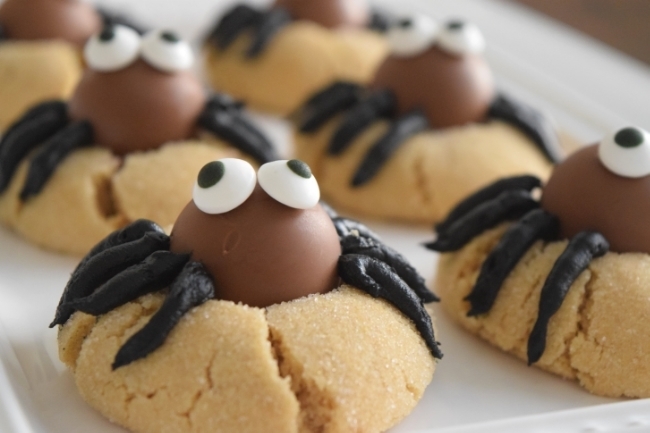 Normally anything even remotely resembling a spider would freak me out, but these are adorable! 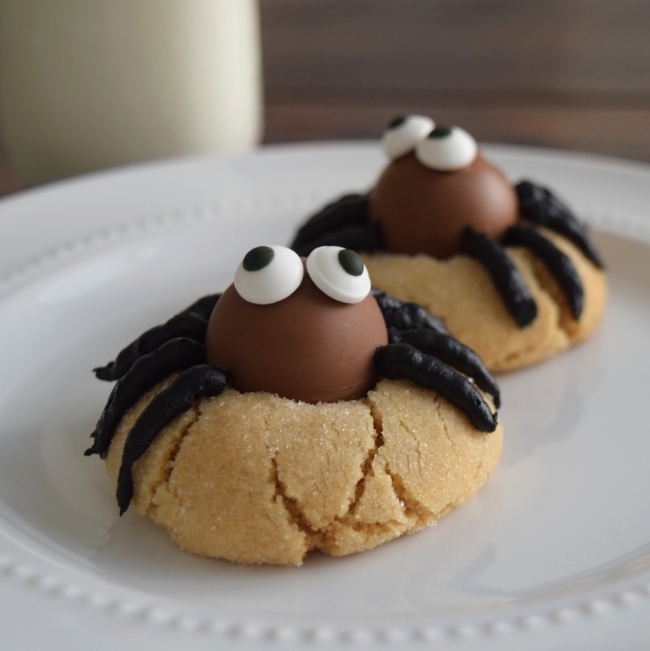 Spiders freak me out too, except this one :) This recipe is my favorite cookie recipe!